Camber Option: Camrocker. Camber into a minimal rocker zone. Conditions: Overcast skies, 3 inches of fresh snow, firm to crunchy snow underneath the fresh, high winds, and colder temps. Flex: Stiffer than a middle of the road but softer than a plank. There’s a little bit of flex in the tips, stiffer from outside the inserts, and then softening up between the feet. The torsional flex is more abundant than in years past, which makes flexing and driving the board easier. Stability: This board has the perfect blend of dampness to liveliness to make it fun for charging through crappy chunder snow. It will absorb micro chatter that normally resonates up into your feet as well as not wash out at high speeds in uneven terrain. Ollies: With the slight tweak to the flex pattern it makes loading the board up to pop off rollers and natural hits that much easier. The snap is there, but it’s not the most poppy deck out on the market. Pop On Jumps: I hit two jumps with this thing and it did its job just the way you would expect. This board can pop a lip with ease if you let the lip work it for you. My suggestion is go faster than slower. Butterability: If you pop a 180 into it make sure you have your weight over the nose/tail, otherwise it will buck you. You will get a workout on this board doing butters and it’s not the easiest to keep locked in. Jibbing: Speed is always the key with this board. Go fast, press hard, and remember that it’s not the best for jibbing. Carving: The sidecut wants to initiate turns from the get go. This means that you can set up a turn with minimal ease. Part of this is due to the slight scoop in the tip which allows the board to roll over on edge. When on edge the mellow Magnetraction does what you expect it too but doesn’t keep you locked into a turn. Whether doing short quick turns or long drawn out carves this board is very nimble and as you center load the board it will slingshot you back out. Rider in Mind: The hard charging all mountain rider that really loves having camber under foot. Personal Thoughts: Even with the slight tweak to the flex pattern this board still falls more into the freeride category. So you want to charge hard, boost higher, turn quicker, and save the park laps as an after thought. Check out the past reviews of the 2016 and 2017 Aviator. What Jones board do you prefer between this and the Explorer? What would you say gives one the competitive advantage over the other? Just curious. Depends on what you’re doing with it. 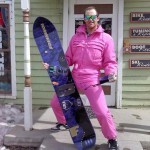 I experienced the Aviator as a fantastic snowboard with much energy to give, if you put the effort and power in. I didn’t think It was too stiff though, which was a nice surprise as I had lots of fun playing around on the piste and over a few kickers, rollers and bumps on the piste. Where it really comes into its own, though, is the powder! All day I had a massive smile on my face and didn’t stop hollering. The Aviator is for the snowboarder who likes the feel of a traditional camber board. The added camber gives it a ton of snap in turns and incredible edge hold on ice!!! No joke man. This is really a hidden raceboard which is NOT chattery at all. You need to have your skills set right when you are on this board. On the Aviator you need to know what you’re doing. 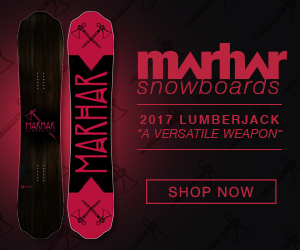 Is this one more stiff than the Burton Custom X? Ok not stiffer than custom x, could it be between the custom camber and custom x then regarding stiffness? Pretty much that’s exactly where it sits. How is the stiffness and overall feel compared with the UMT? They’re real similar. The big difference is in the dampness of the ride. You’ll notice this one is a little less lively than the UMT. So you could say it rides like a regular Mountain Twin but with more camber in the profile? I’m thinking about trying the Aviator as I really like my MT but miss that spring out of turns and nimble handling. 165lbs, size 9.5 so probably 156 or 158? It’s a little stiffer and a little snappier. 56. Great review! I’m considering the Aviator. 145lbs, size 9 boots Should i go with 156 or 152? Will it be unstable at 152 on groomers/piste/bombing? Thanks for the advice and keep up the great work Angry Snowboarder! 56 for more hard charging and stability and really pushing it, 52 for more all mountain use and easier to throw around.